The Assembly of the Republic of Macedonia is the central and most important institution of state authority. According to the Constitution, it "is a representative body of the citizens and the legislative power of the Republic is vested in it". (Article 61) The Assembly is composed of 120 to 140 Representatives elected at general, direct and free elections by secret ballot. The Representative represents the citizens and makes decisions in the Assembly in accordance with his/her personal convictions. A Representative's mandate cannot be revoked. The cases where a citizen cannot be elected a Representative owning to the incompatibility of this offices or professions already held are defined by law. The office of the president of the Assembly is incompatible with the performance of the offices in a political party. The president of the first Macedonian multiparty Assembly was Mr. Stojan Andov, who together with the Presidency of the Assembly, has made considerable efforts to uphold its legislative powers. 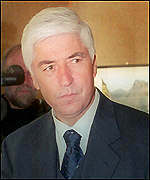 Later president is Mr. Tito Petkovski and today, Mr. Savo Klimovski, Nikola Popovski and the present president is Ljupčo Jordanovski. 20. performs other activities determined by the Constitution. In 1993 the Assembly the Assembly established a Council for Inter-Ethnic Relations. The Councils consists of the President of the Assembly and two members of each from among the Macedonians, Albanians, Turks, Vlachs and Gypsies. The Council considers issues of inter-ethnic relations in the Republic and makes appraisals and proposals for their solution. At working bodies, the Assembly has several commissions. In addition to the opinion of the appropriate commissions for particular fields, in obtaining a visa for legislative projects, the opinion of the Legislative Commission is always important. According to Article 71 of the Constitution, besides the Representatives and the Government, a group of at least 10,000 voters has the right to propose adoption of a law. In practice, there has already been a case of this option being used. Interpellation as a constitutional institution is more and more frequently used, and there is regularly a large number of Representative's questions. In 1993 there were debates in the Assembly on the interpellation of several ministers, and it established several investigating commissions. Competition between parties and Representatives is also expressed through the large number of proposed amendments to virtually every act to be adopted. In addition to decisions on issuing notice of a referendum concerning specific matters within its competence, the Assembly is obliged to issue notice of a referendum if one is proposed by at least 150,000 voters. The decision made in a referendum is binding Although MAAK party and the Associations of Trades Unions announced that they would be collecting 150,000 signatures for calling early parliamentary elections, they probably saw that this would have taken up a lot of the time required for resolving major tasks, and later decided that the regular election should be the arbiter. The first Macedonian multiparty Assembly has been given the great and responsible role of carrying through the independence and sovereignty of Macedonia by its legislative activity. In addition and the Declaration of Independence, the majority of system acts institutionalizing the necessary mechanisms of the new constitutional system have been adopted. As a result of the fulfillment of the functions and responsibilities of the Assembly as a legislative body, Macedonia is one of those countries in transition in which a legislative framework has been created for a genuine development of the new institutions and relations within the country. From its constitution until the end of 1993 the Assembly held 71 sessions. In 1993 there were 18 sessions at which 146 acts or changes to act were adopted and 570 decisions within its competence were passed. The Assembly was in session 105 days, and its commissions worked virtually every day. At the end of 1993 the Assembly adopted the package of acts covering the Programme of Economic Stabilization. Together with international financial support, the Programme is expected the demonstrate the productiveness and effectives of the new legal, economic and institutional framework in the functioning of the state. The Public is incorporated as a control mechanism in the work of the Assembly. Its sessions are open to the public, and it may decide to work without the presence of the public by a two-thirds majority vote of the total number of Representatives. The consistent observance of this principle is reflected in direct broadcasts on radio and television. 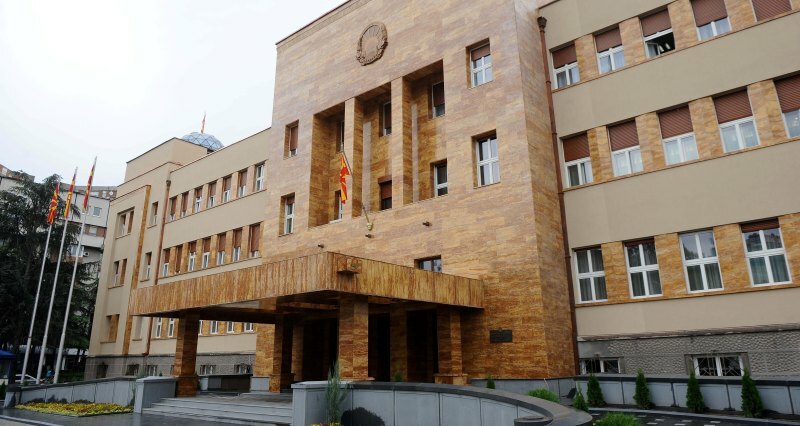 This has made not only the activity of the Assembly, but also the entire political sphere in Macedonia "transparent", so that the positions and opinions advocated or preferred by the Representatives or their political parties can be viewed directly and impartially. The Macedonian public at this stage of development of parliamentary democracy has a preference for efficiency in the adoption of basic acts. Therefore it has reacted with criticism to the blocking of the work of the Assembly since April 1994. The full openness of the Assembly to the public has had a positive influence on the general processes of democratization. It has contributed to the demystification of the former staging and technology where everything was known in advance, and also of parliamentary decision-making and its proponents. A significant affirmation of policy and legislative decision-making has been achieved as a focus of the real interests of society. The Assembly's work immediately influenced the outlining of political pluralization in society. Competitiveness and aspirations of political forces, organized in parties or associations, have been strengthened in the fulfillment of their programmatic and current goals. This setting has been even further reinforced by the large number of civil and non-governmental associations. In this context, Macedonia has shown an emphatic orientation towards and desire for political modernization.